TACOMA, WA / THE MULE / 9:30 PM. 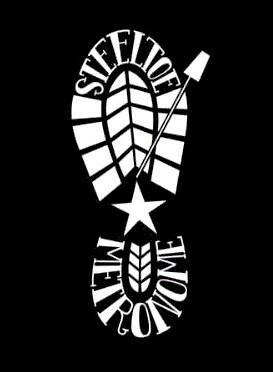 Steeltoe Metronome is a five-piece band formed in Seattle, WA., in 2015. Influenced by several sounds (including punk, grunge, rock.n.roll, blues, folk, and jazz), we are a heart-thumping, high-energy rock band. Fronting the group are Seri Ann, on lead vocals and rhythm guitar, and Courtney Henderson, on vocals and tenor ukelele. Paul Footen is on lead guitar, Todd Matthews on bass, and Chris Martin on drums. SWAG! New merch is being made available through StM's MERCH link as well as through our Bandcamp page. We have t-shirts, stickers, patches, cds, and more to come! Join our email list for updates! Steeltoe Metronome just finished recording their first, long awaited, EP. "Fool's Ride" is a six-track EP, with the high-energy of a runaway locomotive. Watch the official music video here.